Edwin Encarnacion: walked away as a free agent. Troy Tulowitzki: released from his $38 million contract. David Price: signed with the Red Sox. John Gibbons: fired, essentially. Jose Bautista: had his contract option declined. Josh Donaldson: traded to the Cleveland Indians. Add Russell Martin to the list of players who were instrumental in the Blue Jays’ 2015 and 2016 playoff runs who are no longer in Toronto. In the now-famous Sports Illustrated cover, the 36-year-old was the last man standing. Martin returns to the organization where it all started for him: the Los Angeles Dodgers. He was drafted by the Dodgers in the 2002 MLB draft and spent the first five seasons of his career honing his craft at Chavez Ravine. The backstop was due to receive $20 million from the Blue Jays in the final year of his five-year,$82 million dollar contract which he initially signed back in November of 2014. 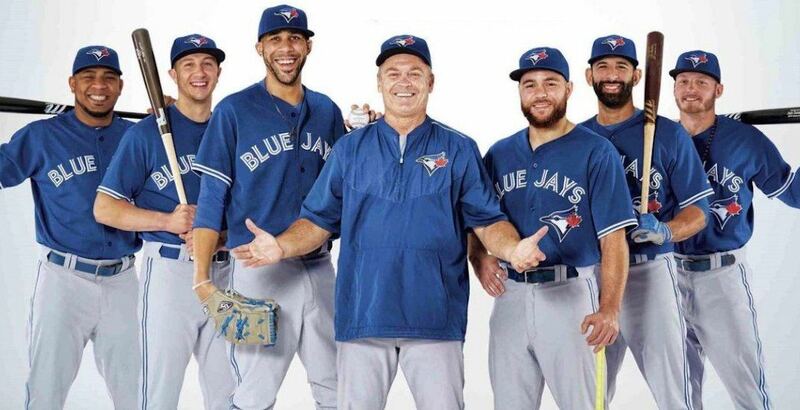 It still stands as the largest free agent contract the Blue Jays have ever signed. Four years after embarking his journey with Canada’s team, Martin finds himself back in the thick of contention with the National Champions. Did the Blue Jays cut ties with Troy Tulowitzki too soon? Martin’s exit signals the end of an era of Blue Jays baseball. Prior to ending their 22-year playoff drought, the Blue Jays’ first big move to propel them towards the playoffs was signing the Canadian to a five-year deal. They committed $82 million to a catcher entering his age-32 season, a deal that in today’s free agent climate would never happen. In today's MLB climate, could you imagine a 32-year old free agent catcher getting a five-year contract? 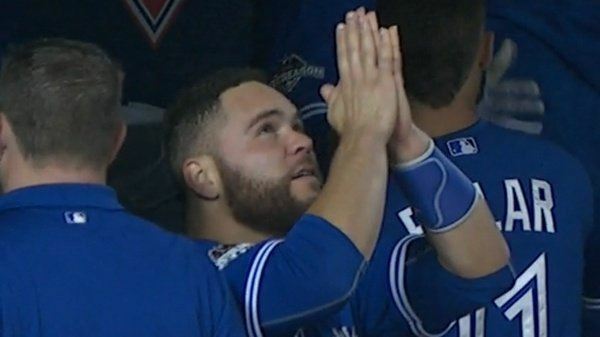 Russell Martin did back in 2014. In four seasons with the Blue Jays, he earned $62 million and delivered $63.9 million in value, according to @fangraphs. Despite the heavy price tag, Martin more or less provided fair value for that $82 million. In four full seasons with the Blue Jays, he earned $62 million and according to FanGraphs “dollar” metric, he delivered $63.9 million in value. It was one of the incredibly rare instances when a free agent actually delivered more than expected on a long-term contract. As an encore, Alex Anthopoulos followed up the Martin signing by stunning the baseball world and acquiring Josh Donaldson from the Oakland A’s. And the rest was history. In reality, those magical playoff runs were only two and three years ago, but in many ways, it feels like a lifetime ago. The Blue Jays have almost completely turned over their roster since then, with only a few holdovers from those 2015 and 2016 teams. Martin was the last remaining crucial fixture from those 2015 and 2016 Blue Jays teams. Without the Montreal native behind the dish for those teams, it’s difficult to imagine the Jays making the postseason. Donaldson was the MVP in 2015 and Price was Cy Young-worthy that year, but Martin was the captain that tied it all together. He was also a central figure in one of baseball’s most bizarre plays, which nearly sent the city of Toronto in a complete riot in 2015. During Game 5 of the 2015 ALDS, his innocent toss back to the mound careened off Shin-Soo Choo’s bat, which allowed the Rangers’ Rougned Odor to score the go-ahead run in the winner-take-all game. Luckily, Bautista’s seventh inning heroics prevented Toronto from burning to the ground. Immediately after the “bat flip”, Martin was spotted in the dugout thanking the baseball gods for retribution. Looking back at his numbers as a Blue Jay, the 36-year-old ranks near the top in virtually every offensive and defensive category as a catcher. It’s not a leap to say he was one of the best catchers the Blue Jays ever had. The numbers below prove it. After Ernie Whitt, Martin had the Blue Jays’ best numbers ever as a backstop. With the emergence of Danny Jansen behind the plate, Martin saw diminished playing time during the last month of the 2018 regular season. In retrospect, it was a passing of the torch from one catcher to the next. Martin was the mainstay behind the plate for four seasons and Jansen forecasts as the catcher of the future for the Blue Jays. Even in a lesser role, Martin still made the most of his opportunities during the 2018 season. He played catcher, third base, shortstop and started one game in left field. Heck, John Gibbons even gave him the manager’s chair during the Blue Jays’ final game of the 2018 season. Looking back at those Cinderella 2015 and 2016 seasons, some fans might remember pivotal figures like Donaldson, Price, Bautista, and Encarnacion. Don’t forget that it all started with Russell Nathan Coltrane Martin. Toronto Blue Jays blogger and writer, GIF maker, baseball moustache aficionado, runner, beer admirer, proud dad.